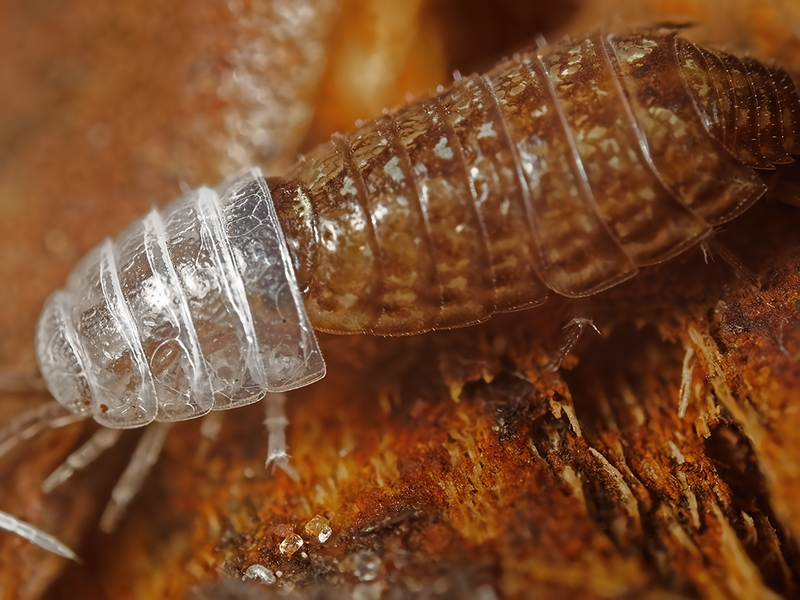 I was photographing springtails, using a FOV 5mm wide, when I saw this. 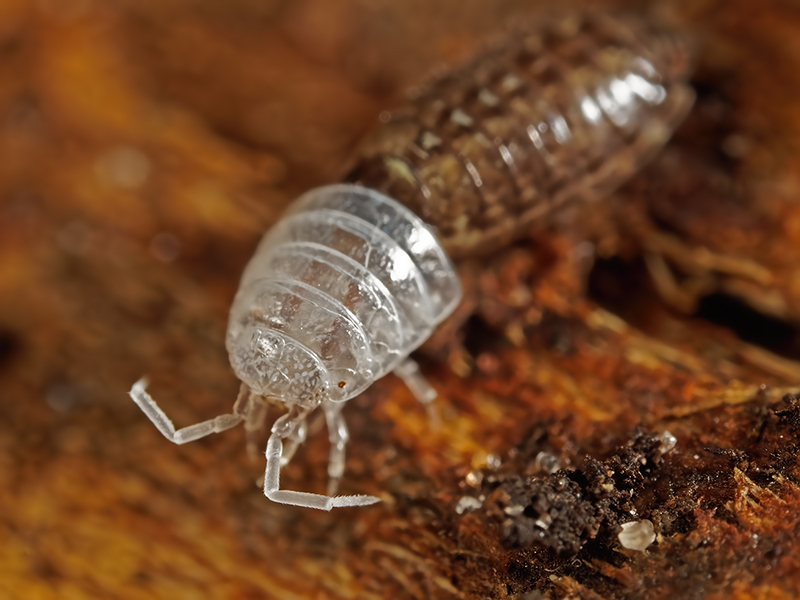 It was much like a pupa emerging from a larva, with the woodlouse expanding and contracting it body (visible in the stereo). I had no idea how long it would last so I quickly reduced the lens extension by two tubes to just one, to give a FOV which I later found to be 10mm. It was just possible to get the subject in the frame but I was not always successful. Olympus EM-1 (manual mode), Leitz Wetzlar Photar 25mm f2.5 macro at f11 or f16, twin TTL flash, hand-held with support. The images are shown in the order shot. The stereo is crosseye. Good sequence - something not often seen. 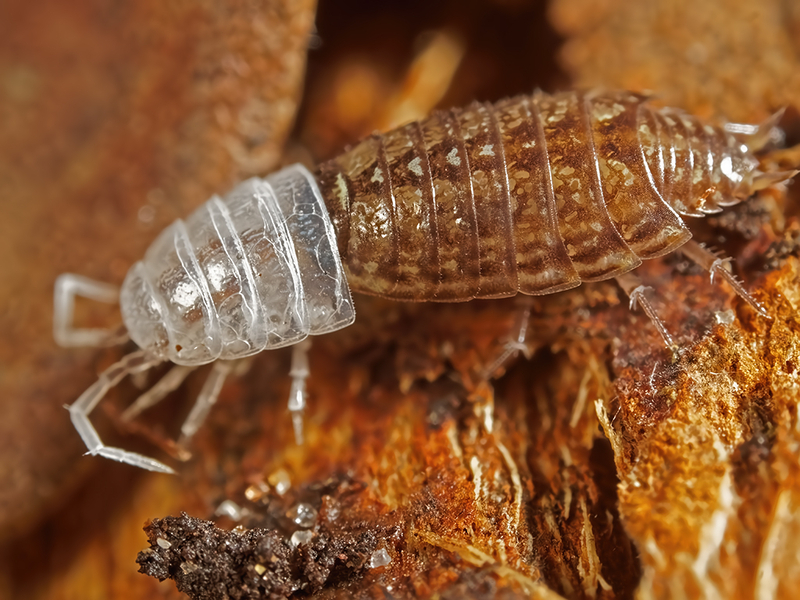 I quite often see one end or the other but usually in isolation, no woodlouse with it. They are very light and easily blow away.